The last week of the year is always the time to look back at the previous year. 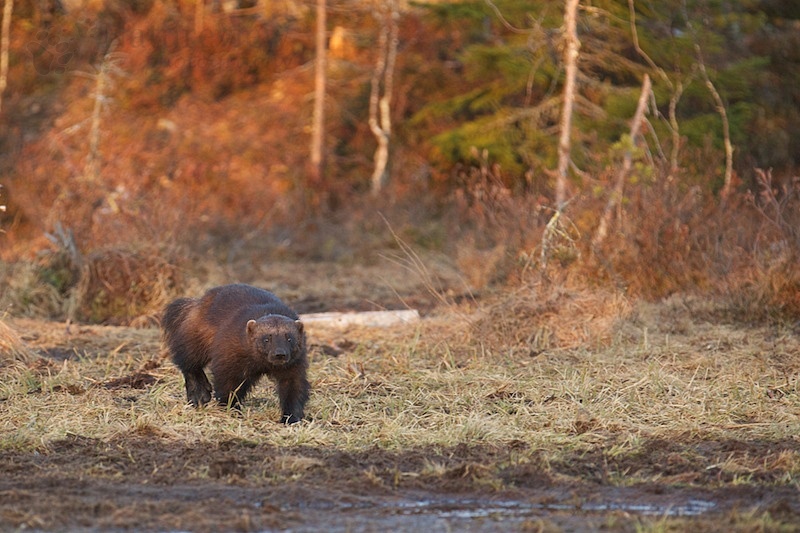 For me the highlight was the Wolverine I saw during my visit to Finland. For me the species I hoped most for, but I also knew the chances of seeing one were slim. After a really great week with many bears the last night was really special. Really nice light, nice bears and nice reflections. Towards the end of the evening, I was looking back at my week. The only thing that was missing, was the Wolverine. But well, I couldn’t have it all during the first trip to Finland. Just when I was thinking this, there he was. First at a distance, but soon right in front of my hide. Only a few minutes, but those minutes were the absolute highlight of 2011. I’m so glad you got to see the wolverine, but it’s a selfish gladness – you were able to share it with us! Thank you for doing so. Magnificent!